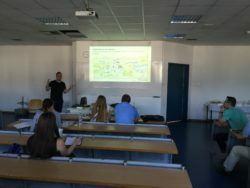 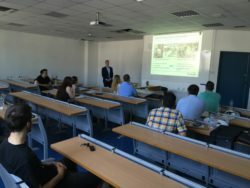 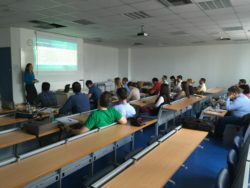 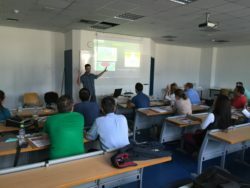 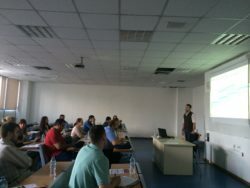 The training program, being part of ALLIANCE’s dedicated knowledge-sharing activities, lasted four days, the first two of which were realized at the premises of the Polytechnic School of UTH, and concerned a number of selected courses of UTH’s postgraduate program, while two more lectures were given by Fraunhofer experts. 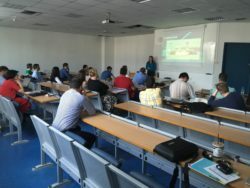 Additionally, students had the opportunity to visit selected laboratories of the Civil Engineering Department of UTH. 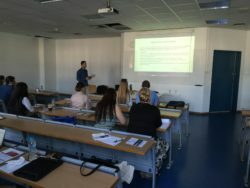 The last two days of the program, May 26-27, 2016, students attended eight selected sessions of the 3rd CSUM (http://csum.civ.uth.gr/), which are relevant to the scope of ALLIANCE.